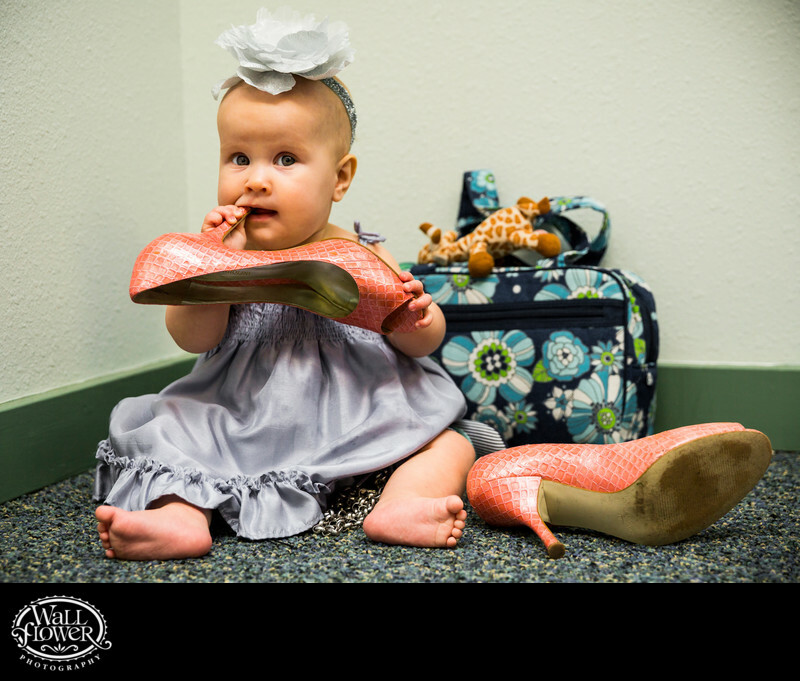 In all the pre-wedding commotion of the bride and bridesmaids getting ready in a room inside the Administration Building at the Point Defiance Zoo and Aquarium (PDZA), this baby flower girl crawled over to her mom's high-heel shoes. I caught her mid-nibble in this photo, just seconds before the shoe was whisked away from her. The best wedding photographers are always ready to react in a split-second to capture spontaneous moments like these that happen unexpectedly and then are done.